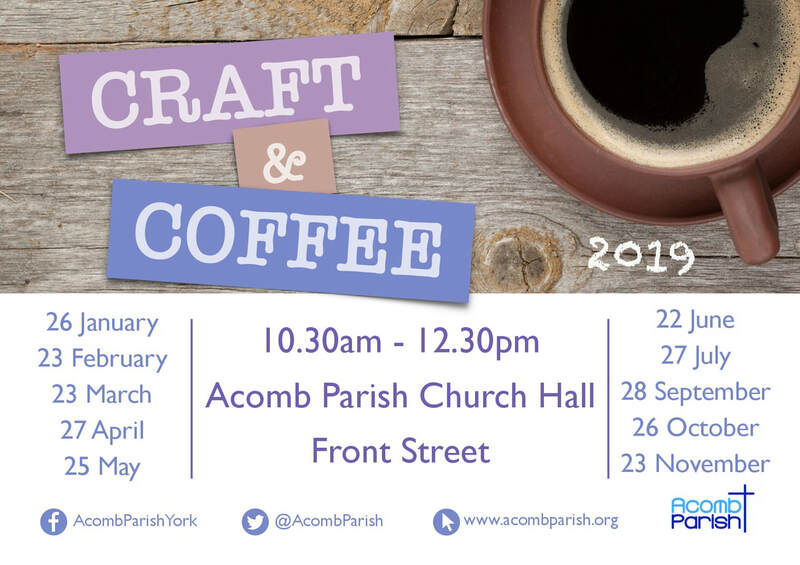 Our Craft and Coffee Mornings are held on the 4th Saturday of every month (except August and December) from 10.30am to 12.30pm in Acomb Parish Hall, Front Street. ​There is a variety of craft stalls, some of whom raise money for local charities. We also serve coffee, tea, soft drinks and homemade cakes and proceeds from the sale of refreshments go towards Acomb Parish Youth Fund to support our youth work in the Acomb community. Everyone is always welcome, so come along, invite family and friends, enjoy browsing the stalls and a natter over a drink and cake.